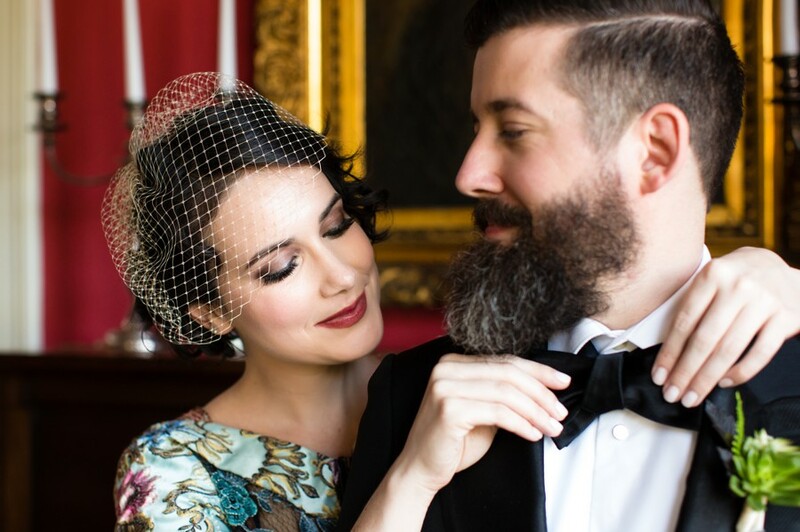 Amanda and Jon’s wedding at Justine’s Secret House was definitely one of the most stunning I’ve photographed in recent history! Don’t get me wrong, I’ve photographed a lot of beautiful weddings, but this Justine’s Secret House wedding was incredible. The venue itself is a small coral house (probably 1930s era if I had to guess) hidden by a large, fairytale vined fence. A tiny courtyard lends itself to a ceremony site and palm trees provide some shade. The main interior is painted a bright red with gold framed artwork, peacocks and a piano. I really loved the gigantic Rembrandt reproductions that were put outside to show thru the windows. 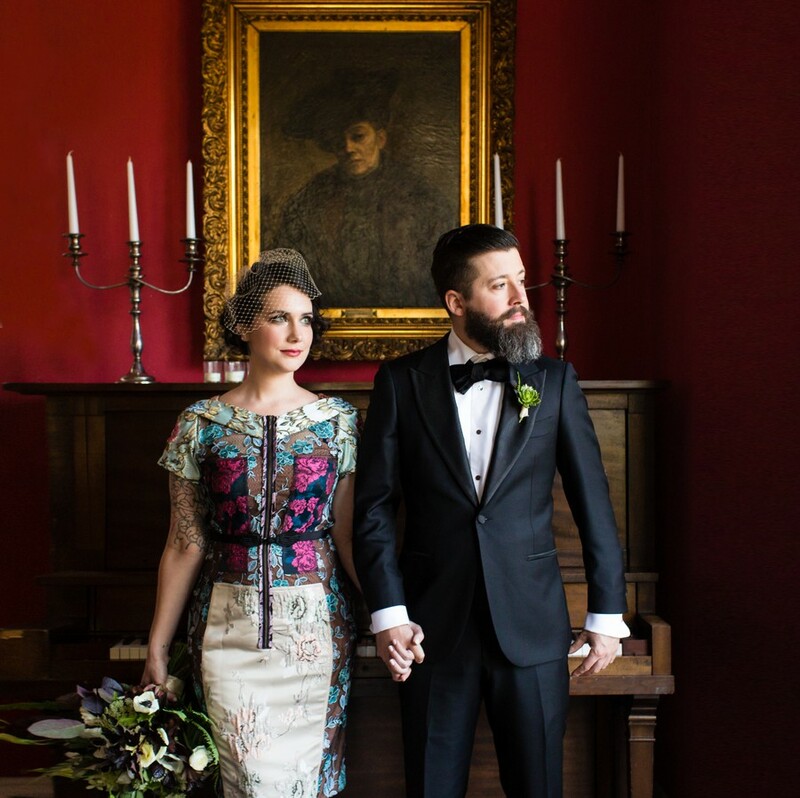 It’s gorgeous and perfectly complemented Amanda’s brocade dress from Anthropologie. The ceremony itself was a quick ordeal and officiated by Jon’s lovely father. A tasty buffet was provided and Voodoo Donuts were served in lieu of cake! The night was intimate, romantic and full of champagne! 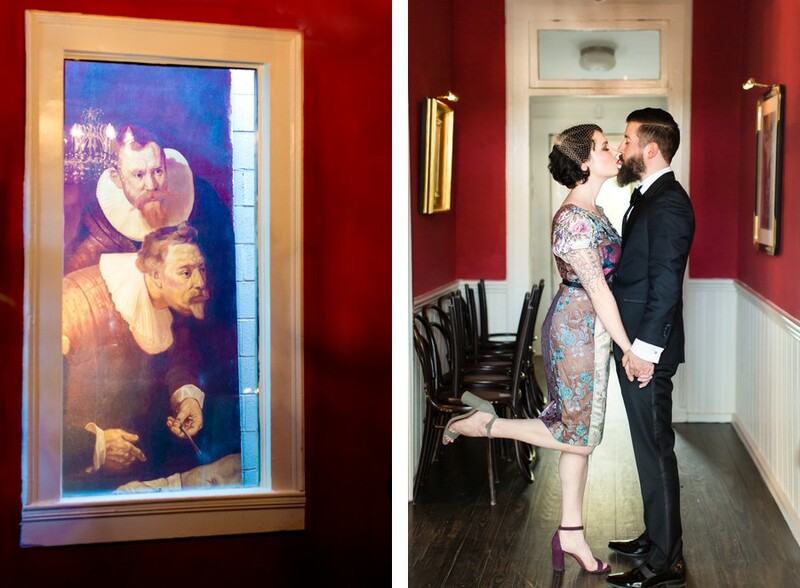 I think I need to get out a bit more, putting this Rembrandt next to this photo of Amanda and Jon kissing is making me laugh a bit too hard!